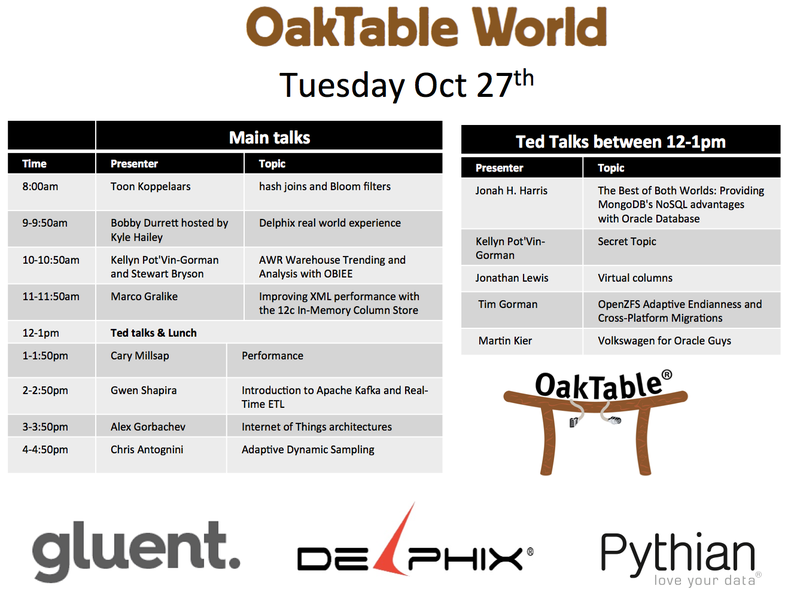 Oaktable World brings together some of the Oracle performance people in the world to present and discuss their findings. 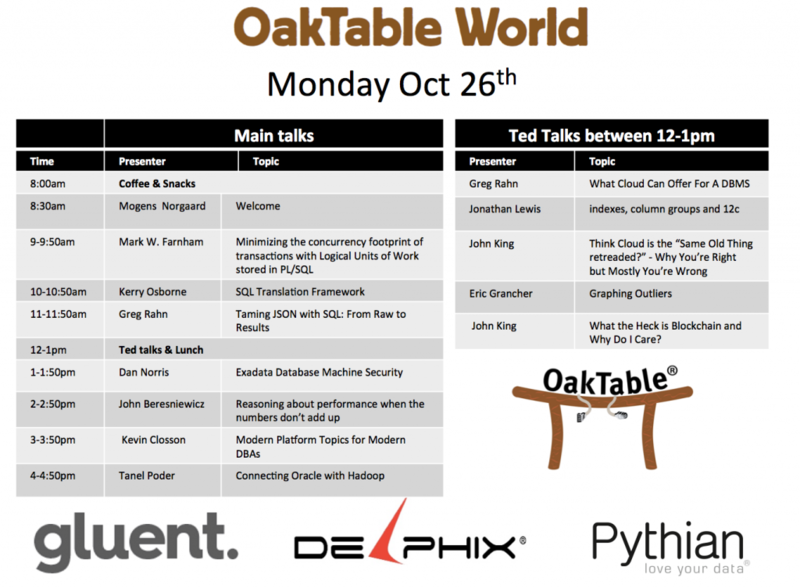 Oaktable World is open to everyone free of charge and no registration necessary ! Oaktable World is Monday and Tuesday of Oracle Open World 2015 and is located on the same block as OOW. to assist you on installing Delphix, DBvisit, and Toad on your laptops. Delphix for example has a free version called Delphix Express that you can install during the labs. Greg Rahn has worked as performance engineer for over a decade on parallel RDBMS systems and Hadoop SQL engines. He spent eight years running competitive data warehouse benchmarks at Oracle as a member of the esteemed Real-World Performance Group as well as working on Impala performance while at Cloudera. Currently he is leading product at Snowflake Computing. technologies to improve data processing efficiency. Useful Tweets, blog posts etc I want to look at… « Oracle Mine…. Weren’t you supposed to be doing a talk about startups? Or was that a different event?